Dave Farley, a well-known farrier, pointed to five (5) factors needed in working conditions and how they affect the outcome. 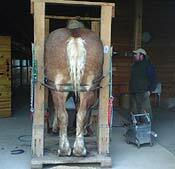 He explains to his customers -and I agree with his assessment- that if any of the conditions are less than desirable, it will compromise the farrier's ability to provide optimum hoof care. Dry work area (truck should be able to pull into area with roof. 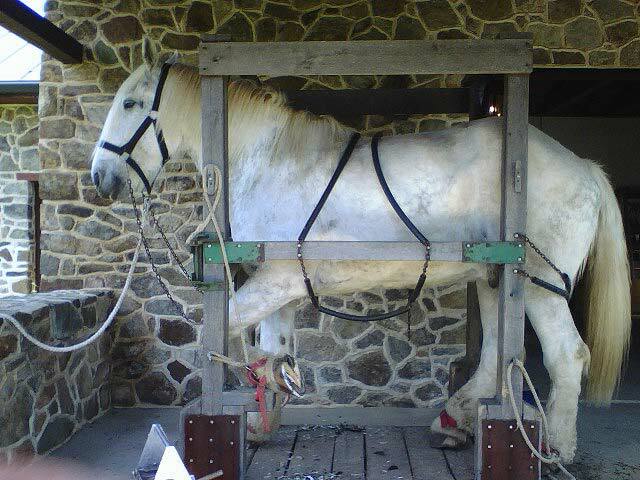 If any of the above requirements are lacking, the final outcome may not be 100%. However, the first requirement, a well-behaved horse is the most important criteria. 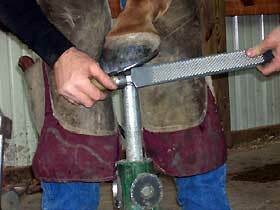 It is a tough, risky job to work on a good horse, but the "dangers to a farrier's physical and financial well being are magnified greatly by an unruly horse". 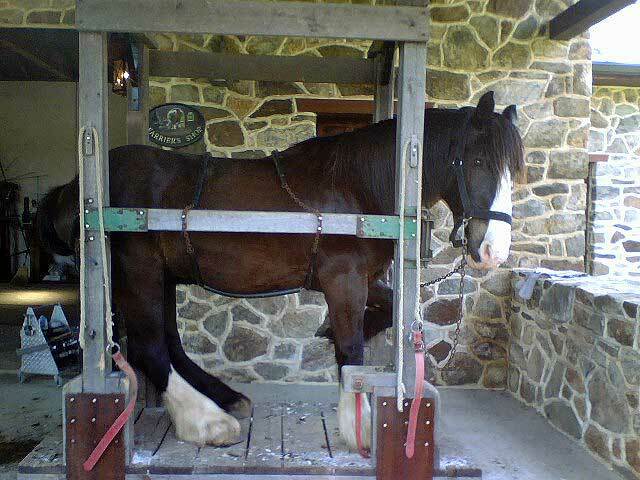 * Note: For large horses, such as draft horses, stocks are indispensable for the safety of the farrier and should be available if needed. 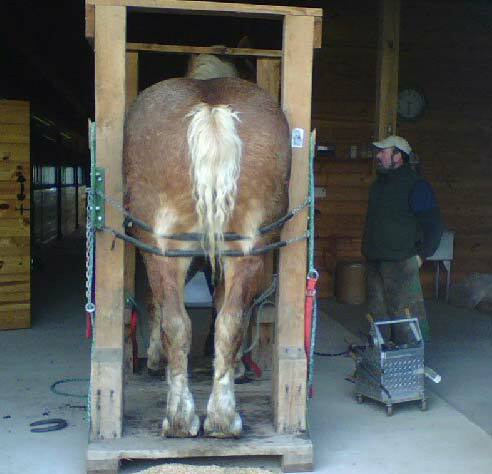 Print version: Factors Influencing Hoof Care!